Meeting Rooms in Florence Italy - Do you have an upcoming business trip to Florence? Are you done searching for the best meeting rooms in Florence, Italy? If the answer is yes, then there could not be a better place than this. Meeting rooms in the recent times have become supremely important and beneficial for all the good reasons. Florence apart from being a beautiful city also offers tons of hotels that have meeting rooms or day use conference room service. You can book the top Meeting rooms in Florence with us at Bakuun.com. Also, you can feel free to contact us anytime to solve your queries. Meeting rooms as the name suggests are the rooms especially designed for the business purposes. Unlike the older days, people now use these rooms to organize important meetings. This does not only impresses your clients and employees but also leaves a professional mark on them. The demand and use of these type of rooms in continuously increasing because of the obvious reasons. 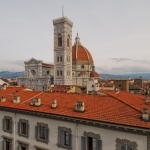 What are the benefits of using Meeting Rooms in Florence? Do you often cringe when you see an upcoming meeting on the calendar? Have you been the victim of losing great opportunities because of bad presentation? If yes, then meeting rooms is the best solution for you. Most of the professionals feel meetings decreases their productivity and take away the valuable tasks. But not when you have organized a meeting in a classy and professional meeting room. 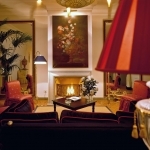 Florence is a place that offers a various range of hotels that have these services. If you are still looking for the reasons to book meeting rooms, then below is the list of the top advantages of booking Meeting or conference rooms in Florence, Italy. A smart meeting room promotes active collaboration through interactive whiteboards and multimedia capabilities. You get the individual chance to share your ideas in this environment which provides benefits in the long term. Smart tech. configuration is one of the impressive benefits of booking the meeting rooms in the hotels. One of the first benefits of a great meeting room is that is can actually help your meeting run much smoother. This is usually due to the fact that there are no interruptions or trouble due to the lack of certain necessities in the meeting room. Another great benefit of finding a great meeting room is that it will give your guests a great first impression of you and your company. This will eventually take your business to the right direction. Considering the use and demand of the meeting rooms throughout the world, choosing the right meeting room is becoming difficult. Now, almost every hotel offers these services with some unique features and quality. One can easily get confused in choosing the right space to conduct their meeting and especially in a place like Florence the choice becomes even more difficult. Therefore, we have here brought you the list of the top qualities you should look into while booking the best meeting rooms. Regardless of the size of your meeting, the meeting room at the hotel should be spacious enough to make an impression on the clients. Another important thing to keep in mind is the high –tech. devices. The hotel should provide everything important to organize a professional meeting. The meeting rooms should also have a nice décor so that both you and your company can impress the clients. Also, the hotel should take care of the other additional services. One of the best reasons to take advantage of a meeting and conference room outside of your own space is for the added benefit of a sleek and professional design. You should have access to a spacious room that features modern accents and a sophisticated look. Why should you choose Bakuun.com for the top rated meeting rooms in Florence, Italy? Bad presentation at the office meetings triggers the loss of both the profits and reputation for your company. We at Bakuun.com completely understand the need of a great meeting room. Therefore, we have our associations with one of the top hotels that offer the meeting room services. You can choose any one of those that suits your requirements the most. Also, another advantage of choosing us is that you will get the meeting rooms in every range possible. So, if you have a meeting in Florence anytime soon then, do not forget to contact us for the best meeting room possible.